I grabbed this shot from a water Taxi on the way back to our accommodation. I like the way the pastel colours in the sky complement the wonderful colours of the buildings. 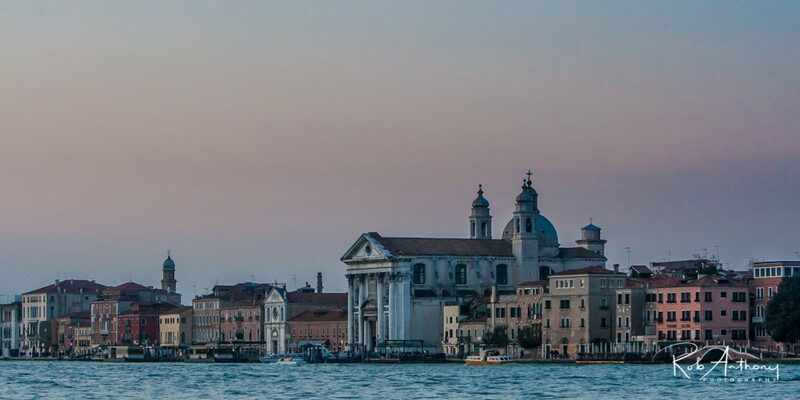 This entry was posted in Daily Blog, Travel and tagged church, dusk, grand canal, sunset, venice.